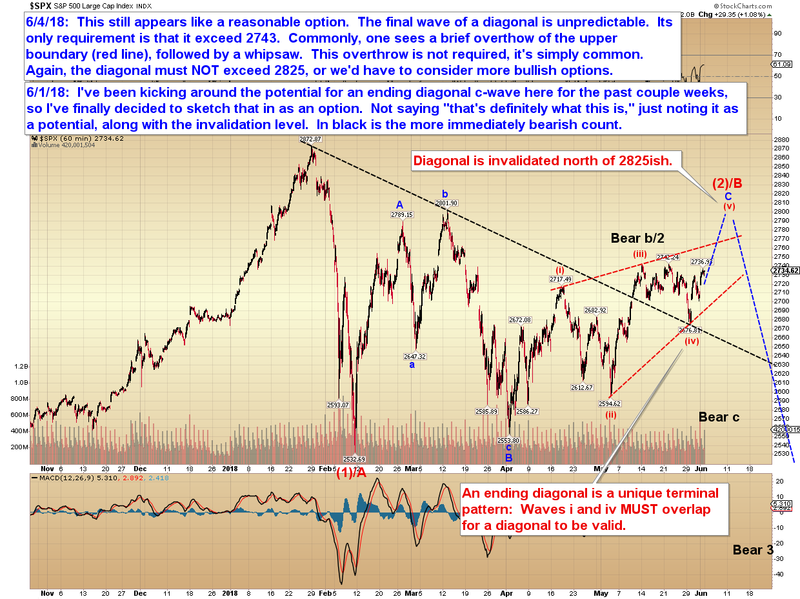 Still nothing new to add since last update, as the market has spent the past month reminding us that "up" and "down" are never the only options (sideways chop zones are the worst). There are at least two other patterns that could be valid here -- one is a bull nest, which I'm not inclined to favor at the moment, but we'd have to consider if SPX sustained a breakout north of 2825. The other (likely) breaks above 2743, then reverses lower and retraces back below red (iv) before heading higher again. I'll update with more details if either of those patterns comes to the fore. Trade safe.